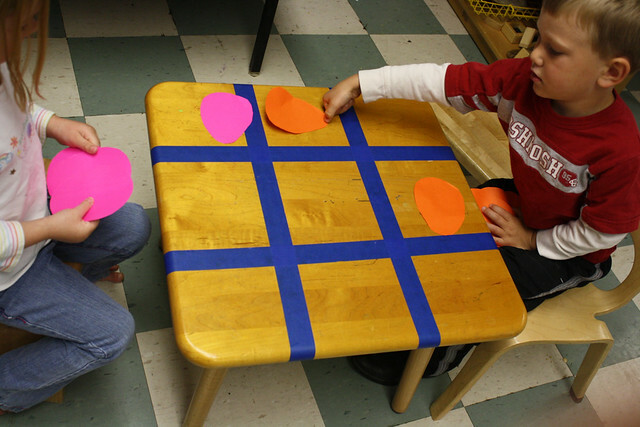 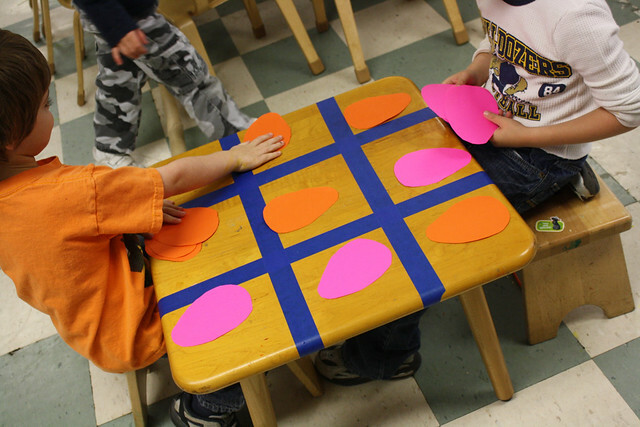 in honor of x week we made a table top tic-tac-toe game. 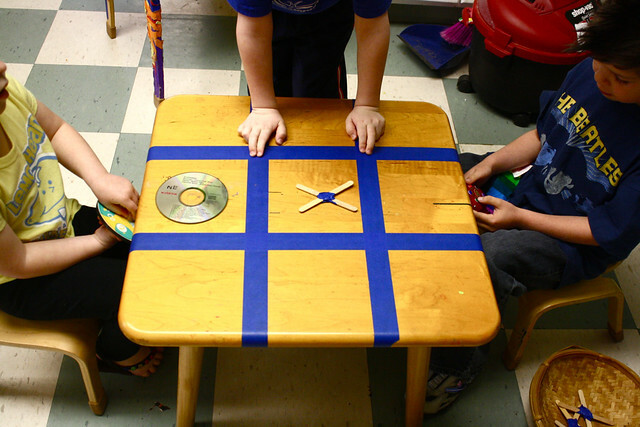 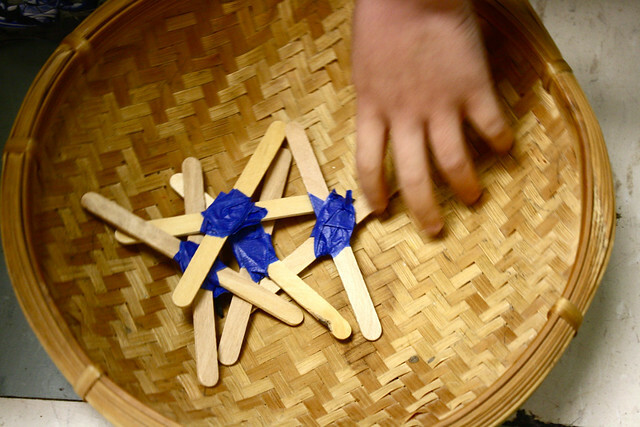 craft stick and tape for X and old cds for O.
when easter rolled around we used colored paper easter eggs instead of X and O.
all kinds of wonderful indeed!!! 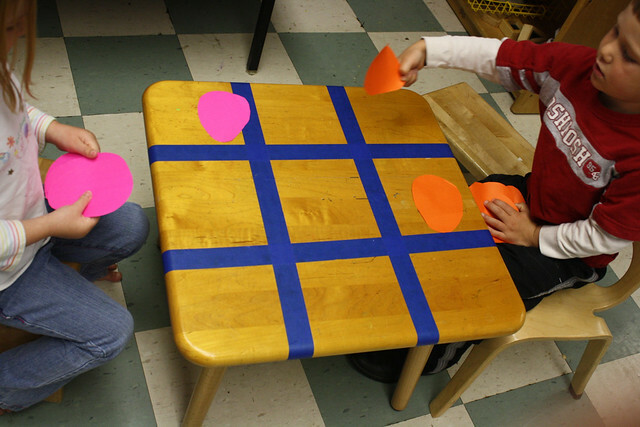 This is all kinds of wonderful, and I’m going to copy it!